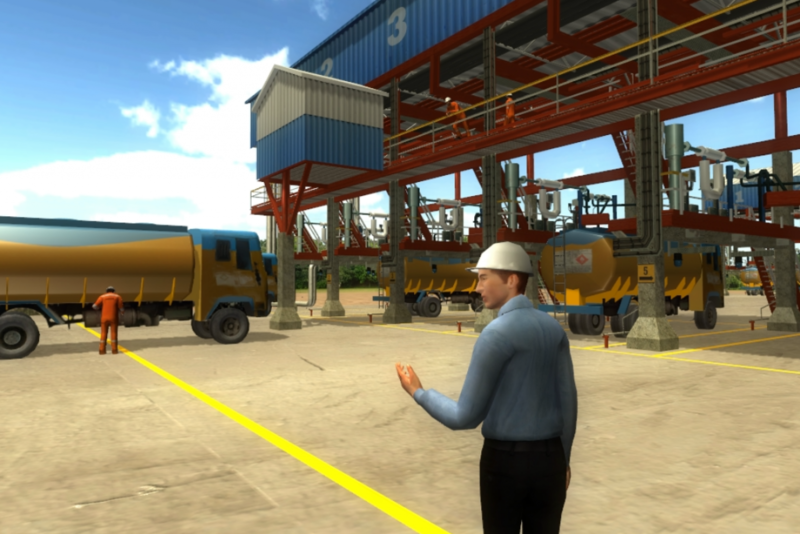 Game Based Training as a market is continuing to evolve and is on track to become one of the biggest paradigms of corporate training in the 21st century. It comes at a time when the growing millenial workforce (set to become 46% of the US workforce by 2020) has clearly rejected the legacy forms of corporate training that most organizations, regardless of industry, have been using for decades. As a result, a considerable amount of research has been placed in fields such as training gamification and game based corporate training. One such recent revolution has been that of game based training being used for employee onboarding. With traditional training techniques, it was not uncommon for new hires to be forced to endure tedious and time consuming “Death By Powerpoint” situations where nothing of import was absorbed, resulting in a lot of time being lost in getting the new employees ‘job ready’. This was especially problematic in companies which required a constant stream of recruitment to combat high turnover. But with game based training principles applied to onboarding, what’s started to happen is that the new employees (regardless of age) are able to “connect” with their subject matter (which could range from company policies to even understanding more about their new organization’s roles and functions) in much more meaningful, impactful ways. As a result of this, the game based training approach for induction ends up producing employees who are job ready faster, much more knowledgeable (thanks to increased knowledge retention) and due to the ability of game based training to also provide for self-paced learning, serve as an excellent and easily approachable repository of knowledge. To add to this, with some particularly well designed game based training solutions, adding gamification elements such as badges and leaderboards (which directly tap into a need to compete) only serve to turn a ‘great’ game based training solution into an ‘amazing’ one. Indusgeeks has considerable expertise in this field, having developed an immersive onboarding solution for the Indian Oil and Natural Gas company, Essar. They approached us with a need to transform their current onboarding and induction program (spread over the course of almost two days of very boring Powerpoint Presentations) into a game based onboarding solution that would truly connect with their new hires and show them where they, as an employee fit in, their career paths within the company as well as an overview of the company’s “Rig to Retail” model. The Essar Onboarding game based training solution featured the ability to interact with key personnel in each step of the oil recovery and refinery process. 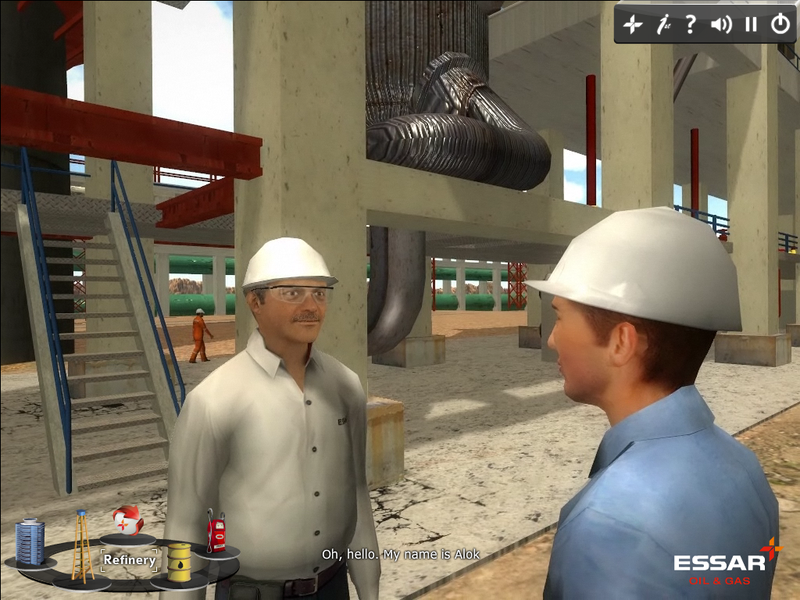 The end solution that we designed was visually rich and immersive, using locales based on Essar’s actual oil rigs and processing plants, where your virtual buddy (acting as a virtual mentor for the learner) walked you through the different sections of the oil recovery and refining process. At each of these locations, you had the opportunity to interact with key personnel from each of these sections and ask them questions about their roles and responsibilities. The solution, being sponsored by the HR department also served as an excellent platform for advertising some of their own in-house initiatives, while also acting as a repository for some of their legacy training content. In conclusion – game based training is definitely shaping up to be one of the most important methods for training in corporate environments and remains as one of the single best ways to connect with a younger, more tech-savvy workforce that increasingly yearns for more immersive, engaging content. As veterans in the industry, we’d love to hear about your training requirements and showcase a demo of our solutions – reach out to us at business AT Indusgeeks DOT com.